Direct media inquiries to attorney representing Troy Newman: Edward L. White III, Senior Counsel, American Center for Law & Justice at 734-680-8007. 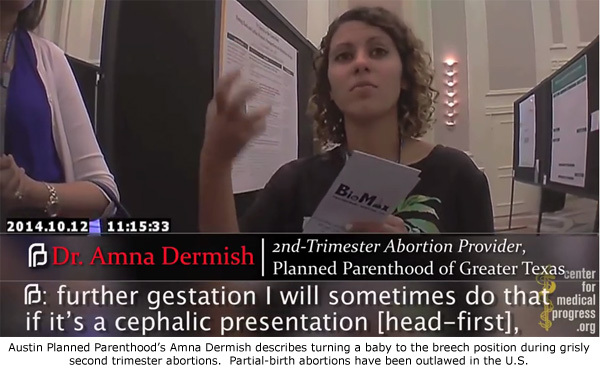 San Francisco, CA — In an effort to silence the truth about their illegal selling of baby body parts for profit, Planned Parenthood Federation of America and several California Planned Parenthood affiliates have filed a lawsuit naming Troy Newman, David Daleiden, the Center for Medical Progress, and several others as defendants. This lawsuit is similar to one filed last August by the National Abortion Federation (NAF) in an attempt to prevent the public, prosecutors, legislators, and other government officials from gaining access to evidence of abortion providers admitting to various criminal acts. Among many other inaccuracies and falsehoods in the lawsuit is the defamatory claim that Operation Rescue and Troy support and incite violence against abortion clinics and providers, despite the fact that both have stated – on numerous occasions – that only the government has the moral authority to take human life, and even the government may only do so after due process has been afforded in accordance with law. The PPFA lawsuit is another attempt to deprive the First Amendment rights of those who want to expose the illegal acts and other wrongs of the abortion industry to the public. Troy plans to fight this lawsuit with the same vigor as he is fighting the similar NAF suit.